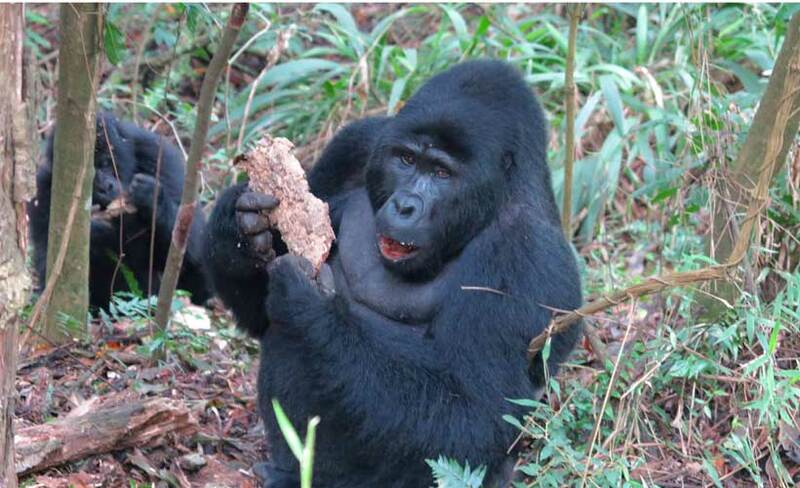 There are just 880 mountain gorillas left in the wild. They exist in three countries; The Democratic Republic of Congo, Rwanda and Uganda. 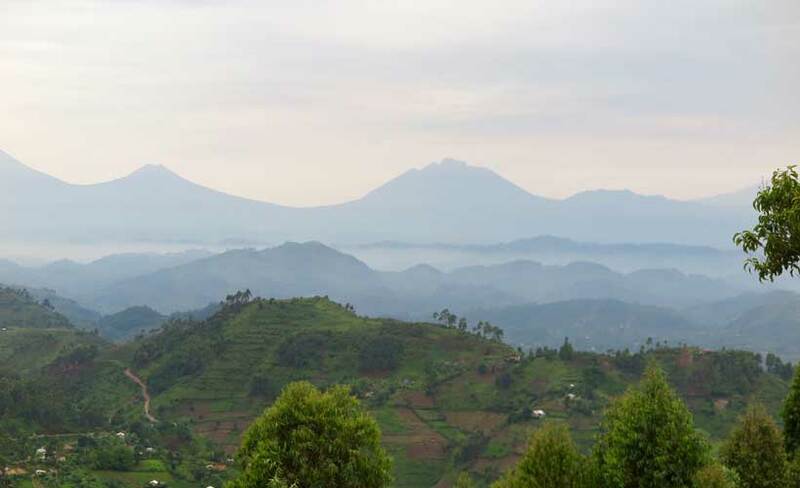 Bwindi Impenetrable National Park in Uganda, has over 400 living in the mountains, almost half the entire population. We arrived into our accommodation around 4.30pm. We were wowed at first site. The rooms at Engagi Lodge are basic but nice. The staff are lovely and obliging. However, the main reception and restaurant area are simply stunning. It is an open-faced structure that stares straight at virgin forest. Sitting for an hour or two with a book is a must-do at this lodge. 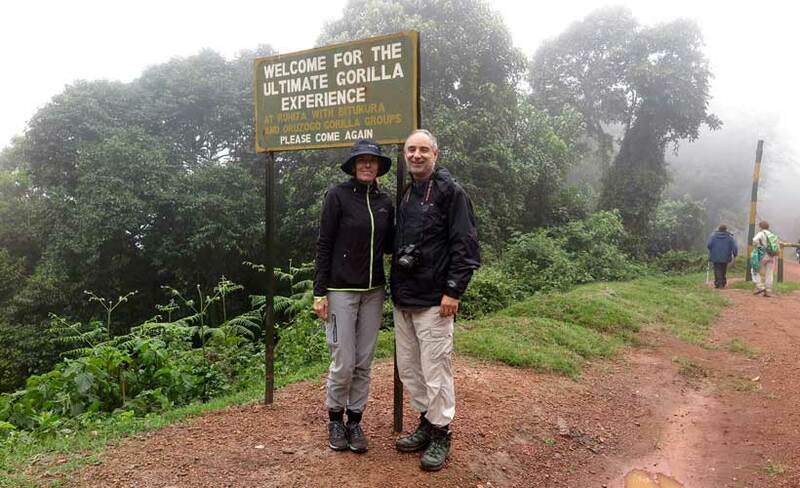 For our gorillas in Uganda trek, we set off very early, as we had a two-hour drive into the national park region where they live. We drove in dark for the first 30 minutes or so but when the sun rose, the most stunning mountain forest landscape was revealed! We arrived at the starting point about 8.00am. Our group was provided with a thorough briefing by the lead guide. 30 minutes later we’re off, tracking one of the 4 local gorilla families we had been allocated to. 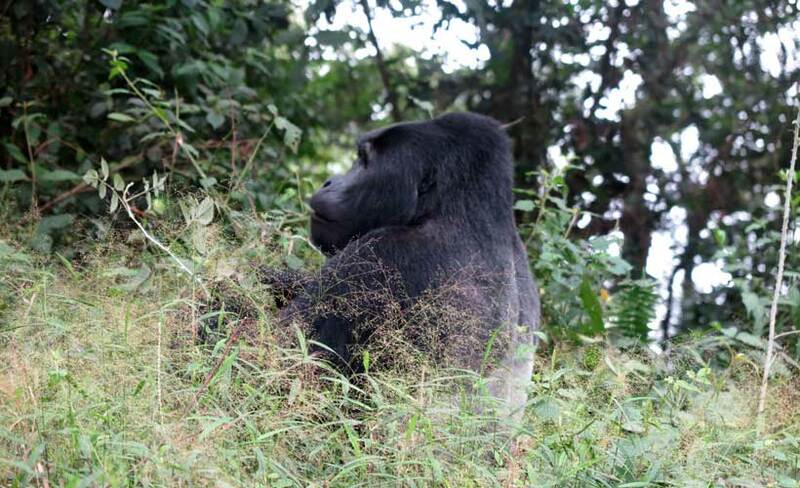 There’s heaps of luck involved with spotting gorillas. The weather and the distance you need to where they are positioned at the time, play a role. We happened to be very luck on both accounts. 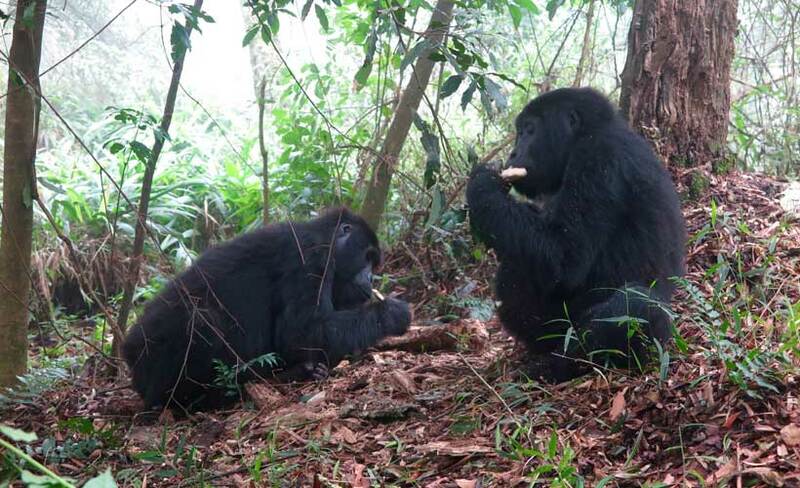 The weather was fine and the gorilla family we were allocated to, were close by. We sat and watched nine of theses wonderful primates for an hour. 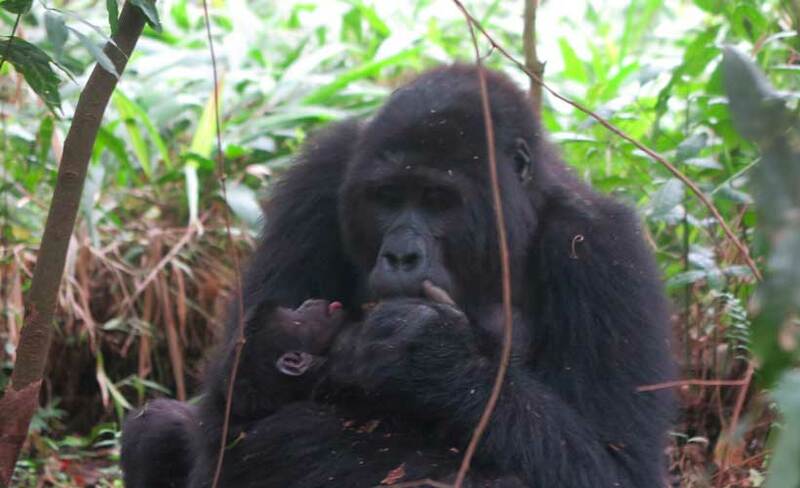 There was a mother and baby (about 4 weeks old we were told) plus the silverback and other members of the family. There’s a general rule that humans should not go within 8metres of the gorillas. No one told the gorillas that however, as we found ourselves within 2metres of them. They are not easy to photograph but then, just watching them and living the moment, is a once-in-a-lifetime opportunity. 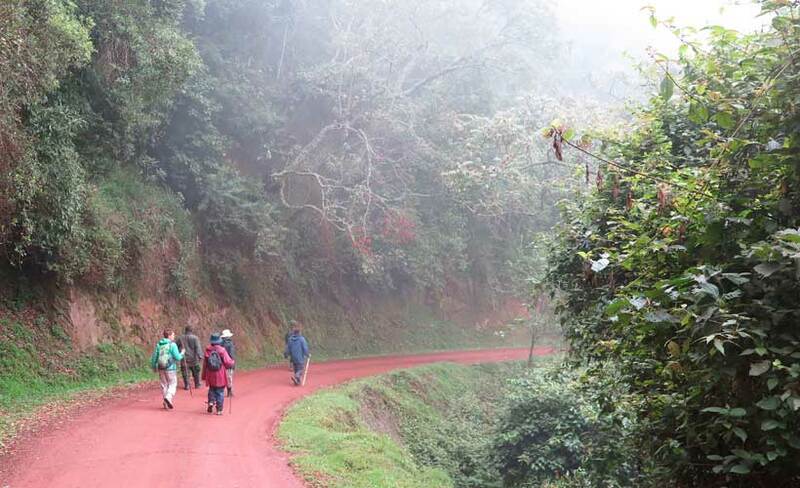 Join our small group tour heading off 31 January 2019 – visit our website www.bluedottravel.com.au for more information about this or perhaps a private tour to the amazing country that is Uganda.